Here at Topskylinkers, we don't only help to bring news to you at your fingertips, we also help to link you to sellers who are willing to sell their products at a pocket-friendly price. Imagine a situation where we connect you to people around the campus who are willing to sell their products to you without you having to go through alot of stress, in other words, we run an hassle-free system to bring all your needs to your door step. How Much Would It Cost To Get Your Products Here? It will cost you absolutely nothing, all you need do is agree to our TOS (terms of service) guiding the sale of products which entails you giving us 10% of the items sold. How Do I Get The Products Across To The Blog? We don't house any of your products, what we do is, we help you get buyers who are willing to pay for your products, once every agreement have been reached as to how much he or she is willing to pay, we then put a call to the owner of the product to bring his or her product to the buyer. In a situation where the product can't be moved easily, then it is our duty to bring the buyer to the seller after all arrangement has been made. How To Submit A Product? 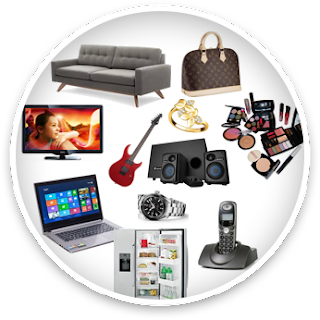 What Are The Benefits Of Buying Second Hand Products Through Us ? 1. You stand the chance of not getting scammed by scammers. 2. You only get to pay after you might have received your product in good working conditions. 2. All sellers must have an identity card belonging to the school or any National ids in case of theft insurgency or any issues that might arise as a result of the transactions.